Ohmigosh, you guys! I’m just back from the RT Booklovers Convention in Los Angeles, where they had their first ever Teen Day Event. It was so awesome! First, there was a great dinn er at Melissa de la Cruz’s home in Hollywood. Rubbing shoulders with writers like Melissa Marr, Alyson Noel, Kimberly Derting, Sophie Jordan, Carrie Ryan, and my buzz girls, Dona Sarkar, Tina Ferraro, Marley Gibson, and Tera Lynn Chids was so fun. Just eavesdropping on conversations was intense. And, when you’re hearing Holly Black and Carrie Ryan working out some plot issue, let me tell you, you drop everything and listen up! Melissa de la Cruz’s home was gorgeous, of course – and she is just about the sweetest bestselling author you’d ever want to meet. Here I am wrapped in a blanket (pink with dots on it) because it is chilly out on the porch, but man, what a wonderful night. It’s hard to top that, but my swanky YA author friend Dona Sarkar took me out to dinner the next night in Hollywood and we sat a table away from Johnny Depp. Totally. Not. Lying. You’re not allowed to take pictures in that restaurant, which I understand, but when we got outside we totally squealed and then giggled all the way home. Oh, Hollywood, you’re so… Hollywood. 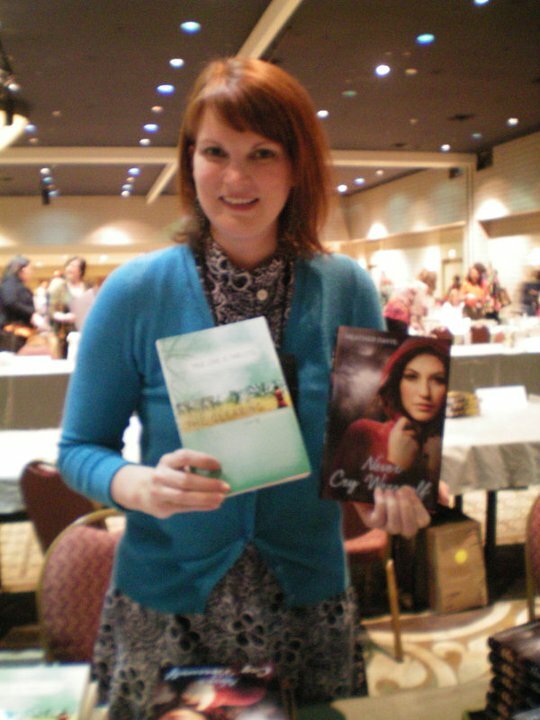 My next favorite time at the convention was Saturday, when I got to meet tons of you READERS at the book fair. And then, I had to read aloud at the Author’s Speed Reading event, which was well attended by teens, too. I started off with a joke about how “I’m the girl who throws up on book report day,” which is pretty much true — and then I started reading the scene from The Clearing where Henry Briggs meets Amy for the first time. By the end, I had stopped shaking at the podium, but my heart was still threatening to beat through my chest. I’m not sure why, but reading from my work is so much harder than being my normal, clowny self. I guess it’s the feeling that I’m putting the real me out there, the hidden me you find in my work. Luckily, the audience was super sweet and understanding. But speaking of favorite parts — there was a final Teen Party to cap off the day’s events. Both of my publishers, HarperTeen and Houghton Mifflin Harcourt, donated my books for the teen swag bags. Attendees got a bunch of assorted books and it was really cool to see how excited they were to receive mine. 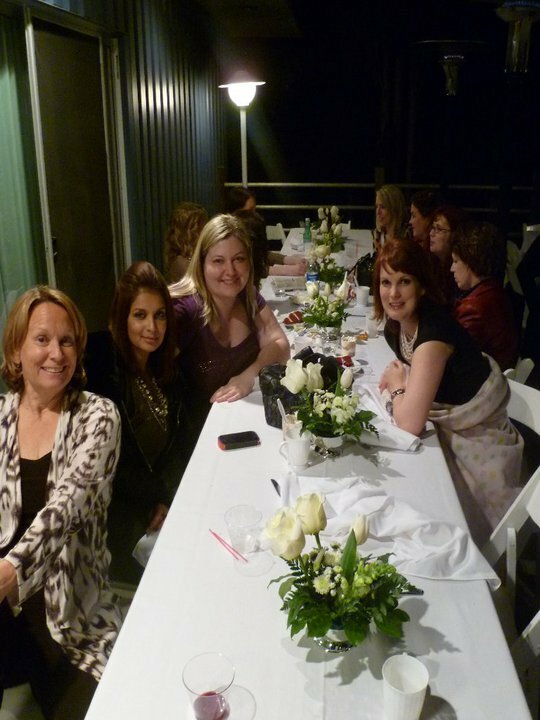 I loved meeting readers and making new friends at that event. Next year, the RT Booklovers Convention is going to be in Chicago, IL. I hope some of your Midwesterner folks can make it to the Teen Day. I’m hoping to be there! So, whew! Can you tell it was an exhausting, but wonderful weekend? It’s kind of a weird job to be an author, alone at your office making up stories – I mean, great, but weird. The part where you get to meet people who read your books and can’t wait for the next one is just surreal. I’m so thankful for you guys who are enjoying my novels! Meeting some of you is like buttercream icing on the top of a red velvet cake. ← The Clearing is a Rita Award Finalist!